» A smooth path for a better life? A smooth path for a better life? The Periwinkle Bikepath at Queen Avenue. 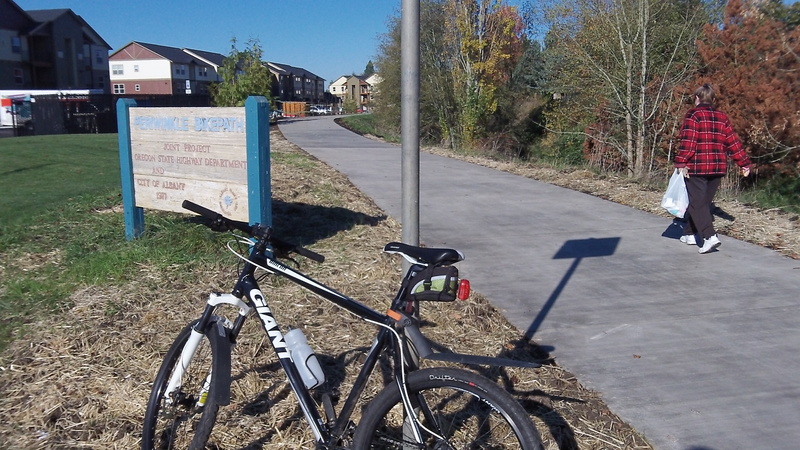 On a cold but sunny Saturday, with a brisk tailwind from the north, I’m sailing along on Albany’s Periwinkle Bikepath, thinking about — what else? — poverty and federal funds. As a faded sign on Queen Avenue points out, the city of Albany and the state highway department built the path in 1977. It follows the channelized creek from Grand Prairie Road to Oak Street, a distance of about a mile and a half. Despite patching over the years, some segments have broken up, and the parks department has tried to keep up with repairs. A couple of years ago, since passing 50,000 in population, Albany has received more federal grant money than before to do something to help “low and moderate income” residents. The city developed a plan: More assistance for the homeless including teenagers who need shelter; housing rehabilitation, job and business training, and other things. One of the projects in the plan was to repave the Periwinkle Path from near Kinder Park to Queen Avenue. The path runs through a couple of census tracts where household income is on the low side. Now it also runs alongside the new Oak Street apartments, where sidewalk signs advertise “luxury” and “granite.” Still, fixing up the path fit the “community development block grant” program’s goals, which include repairing deteriorated public facilities. So the new federal anti-poverty money could be used, and a segment of the path was rebuilt this fall. 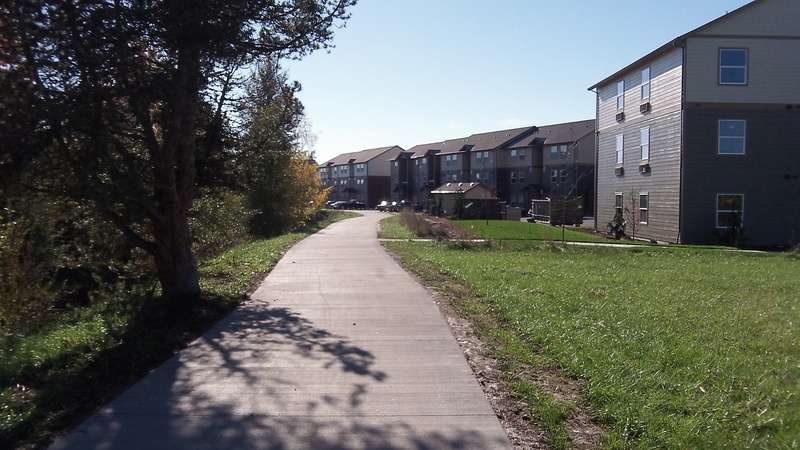 The rebuilt segment of the path passes the brand-new Oak Street Apartments. Maybe the low income folks do a little more walking to the grocery store than the richer folks.